BIRMINGHAM, Ala. – The Southeastern Conference released the 2018 SEC Women’s Tennis Tournament bracket Sunday, following the conclusion of the regular season. Arkansas will be the No. 11 seed and will face No. 14-seeded Missouri in the first round on Wednesday at 9 a.m. CT at the Dr. Robert L. Barksdale Tennis Stadium in Knoxville, Tennessee. 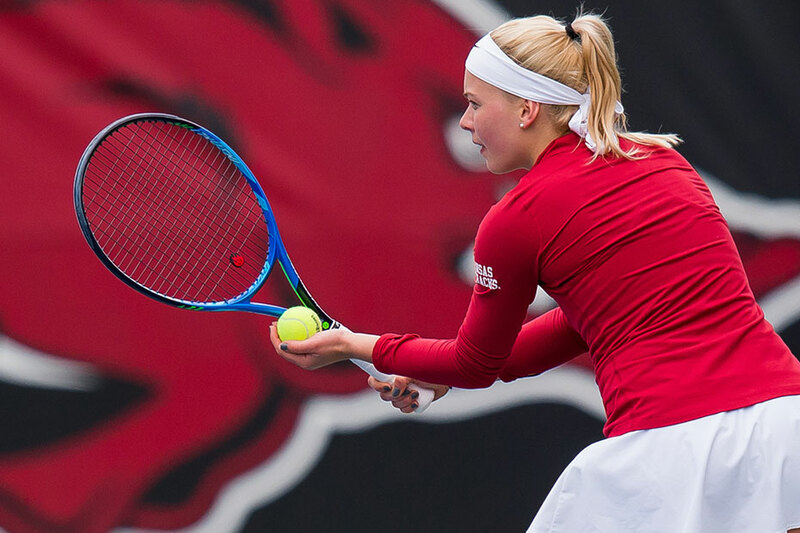 The Razorbacks (7-15, 3-10 SEC) topped the Tigers (11-16, 0-13 SEC) 4-1 on March 2 during the regular season. Arkansas is 8-3 all-time against Missouri and has won five of the last seven meetings between the two schools. The winner of Wednesday’s match will face off against No. 6-seeded and No. 20-ranked Auburn on Thursday at 11 a.m., in the second round.